Nottingham Forest manager Martin O’Neill expects his side to face a real battle against relegation-threatened Rotherham on Saturday. The Millers were thuped 6-1 at Derby County last time out and are likely to be eager for a positive respose at the New York Stadium. “They are fighting for their lives,” O’Neill said. 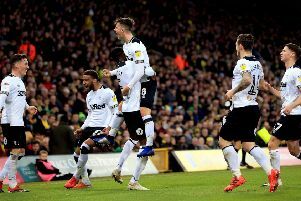 “Even though they lost a few goals against Derby, they could have scored twice before Derby scored. “Rotherham at home are a strong proposition but we go there with confidence and we know what we have to do. “We have to try and win the game to stay in contention. “The mood is very positive and very strong and we want to try and follow it up. It won’t be easy, nothing has been for us this season, but we are positive. With the race for the play-off positions hotting up, O’Neill knows that The Reds can’t look further than Saturday’s trip to South Yorkshire. He said: “There is no point concentration on things further afield until you have mastered what is in front of you.